Corruption at the White House, the prospects for a DACA deal, and the “devil’s advocate” as a conversational tactic, in Slate’s daily newsletter. 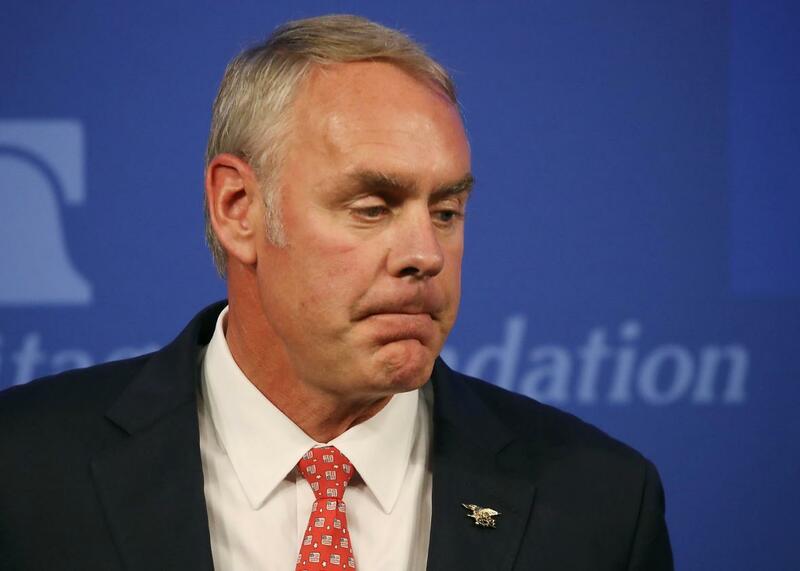 Ryan Zinke, also a fan of the private flight. Rotting swamp: The misuse of taxpayer money in the Trump White House is so widespread, it’s starting to feel quotidian. And that’s a real problem when it comes to people’s trust in their democracy, Jamelle Bouie writes. Short and sweet: Sonia Sotomayor is really good at asking plain-spoken questions that cut to the heart of the matter. She did it again Tuesday during oral arguments for the Wisconsin partisan gerrymandering case, and Mark Joseph Stern reports that the justice’s query stopped Wisconsin’s lawyer in her tracks. A bad deal: The Dreamer “deal” supposedly underway is in danger of creating a mechanism to more effectively arrest and deport undocumented immigrants, Jim Newell writes. And that’s the opposite of what Dreamers want. No more Lucifer: The white tactic of airing racist ideas under cover of acting as the “devil’s advocate” has got to stop, Maya Rupert writes. It’s disingenuous and counterproductive. For fun: That dog’s OK.